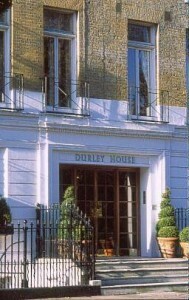 The Durley House is set in Central London, a few minutes from Sloane Street, Royal Court Theatre and Sloane Square. It is ideally located within a 10-minute walk of Knightsbridge Tube Station. Facilities at the Durley House Hotel London include a lift, a 24 hour reception and babysitting / child services. Travellers can wake up to breakfast served every morning at the hotel. The hotel is a 20-minute walk from Victoria Coach Station. London city centre is just a 10-minute car trip away.